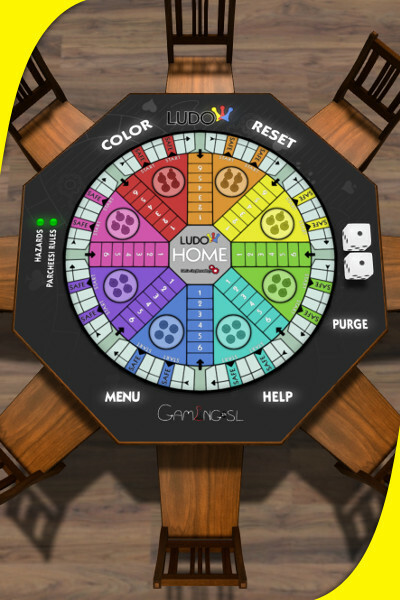 Ludo is a classic board game from India where players must run the gauntlet with their 4 pawns to reach home. Playing with Ludo standard rules or Parcheesi-like optional rules. Playing with hazards enabled or not.